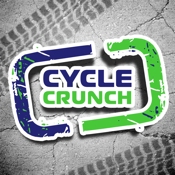 CycleCrunch is a classifieds website for new and pre-owned motorcycles. It provides a fast, easy and spam-free platform for individuals and dealers to buy and sell motorcycles from the comfort of their office or home. Users can list, browse, search, or inquire about motorcycles from their computer or mobile device. Buyers can also sign up for free Buyer Alerts, if they wish to be notified whenever the motorcycles they are interested in are listed on CycleCrunch.